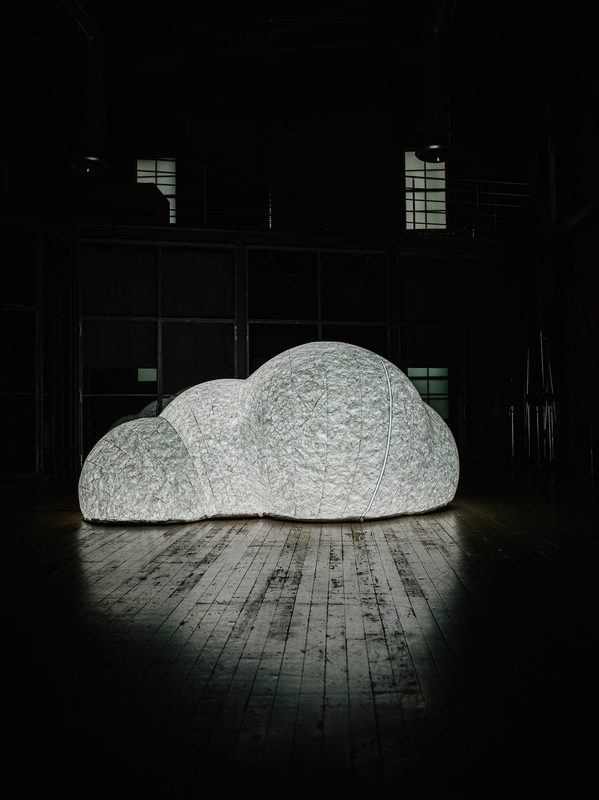 Haven by Tangible Interaction challenges how people typically view an inhabitable space. Photo by Hubert Kang. Dutch “eating and industrial designer” Marije Vogelzang is quartz company Caesarstone’s collaborator this year, presenting Seeds. 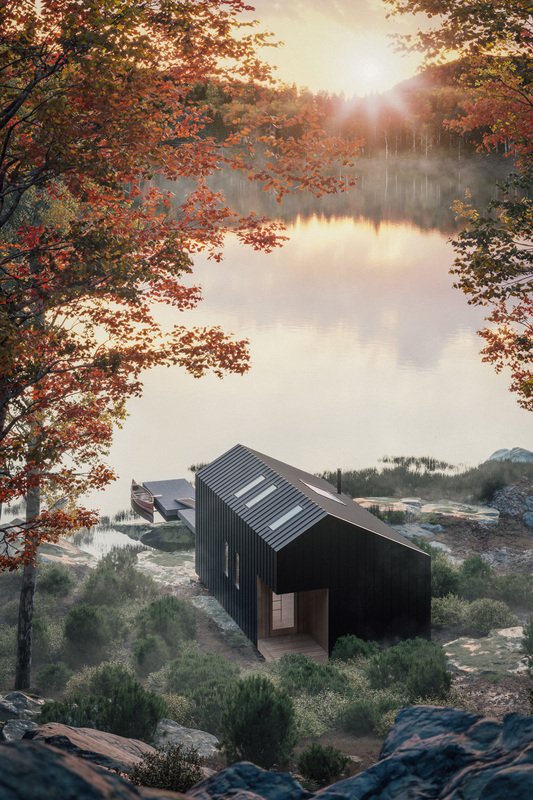 Provided by Backcountry Hut Company, Great Lakes Cabin is this year’s design concept house feature at IDS19. Photo credit Plus Visual. Wayne Muma’s Pirogue is one of the finalists for Rado Star Prize Canada 2019. 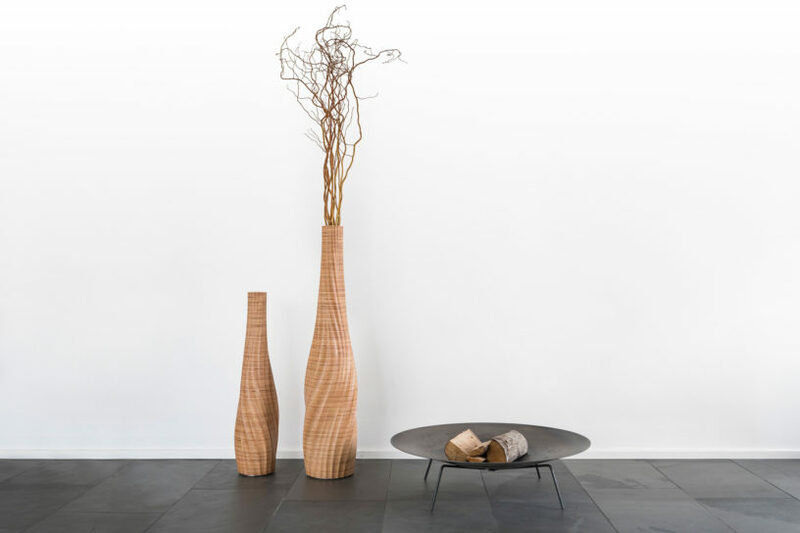 WooYoo’s carved wood PokoPoko Table, an exploration of tradition, materiality, and modern forms. 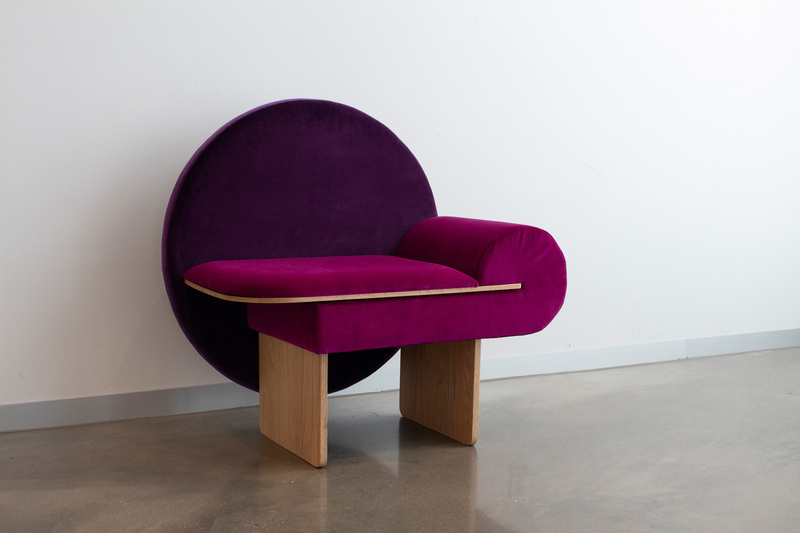 Vako Design’s Vanity Chair can be found alongside Justin Bailey’s pendant light at Studio North. 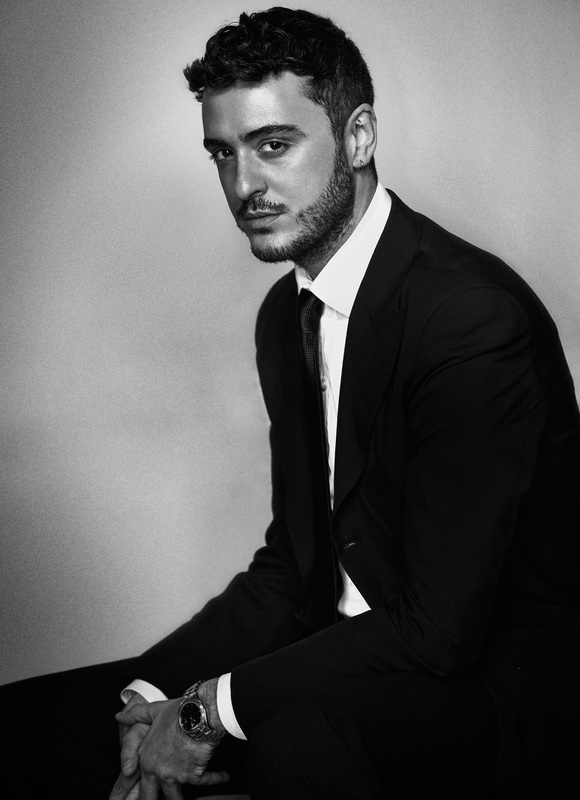 Keynote conference speaker Ryan Korban has become one of the hottest interior designers working today. Now in its 21st year, Toronto’s Interior Design Show annually draws thousands to its showcase of the design world’s most imaginative products, speakers, and exhibits. 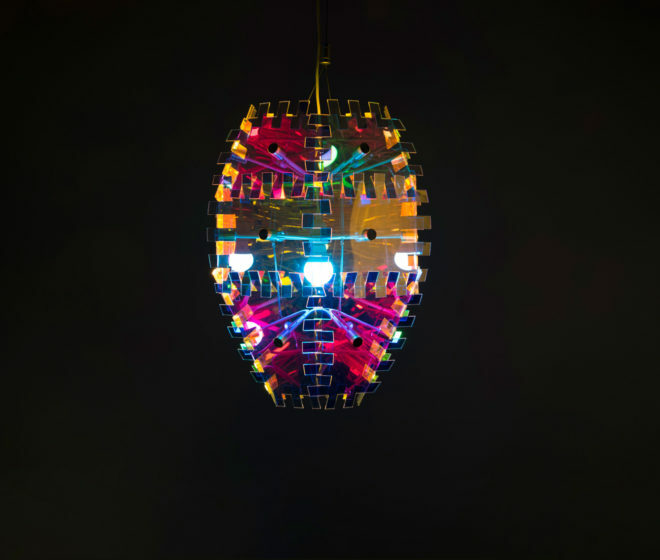 Opening at the Metro Toronto Convention Centre on January 17, the 2019 edition’s Power of Design theme presents interactive installations exploring notions of shelter in the digital age and talks by such innovators as Canada’s own Philip Beesley, speaking to recent works of “sentient architectural environments”. This year’s Guests of Honour are Neri & Hu, a Shanghai-based interdisciplinary design practice whose projects test the boundaries of light and form, materials and experience. Here, a curated list of six standout events that play with the power of design. 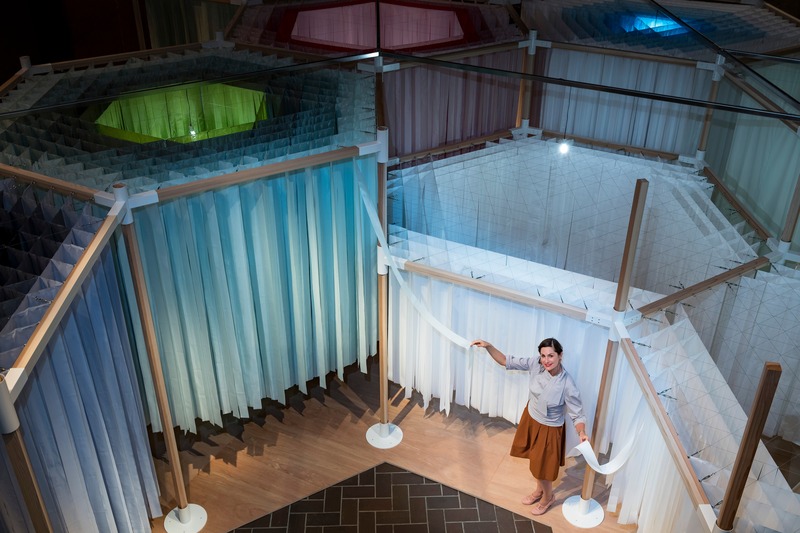 Haven is a whimsical and airy pop-up environment created by Tangible Interaction, a producer of experiential products based in Vancouver. 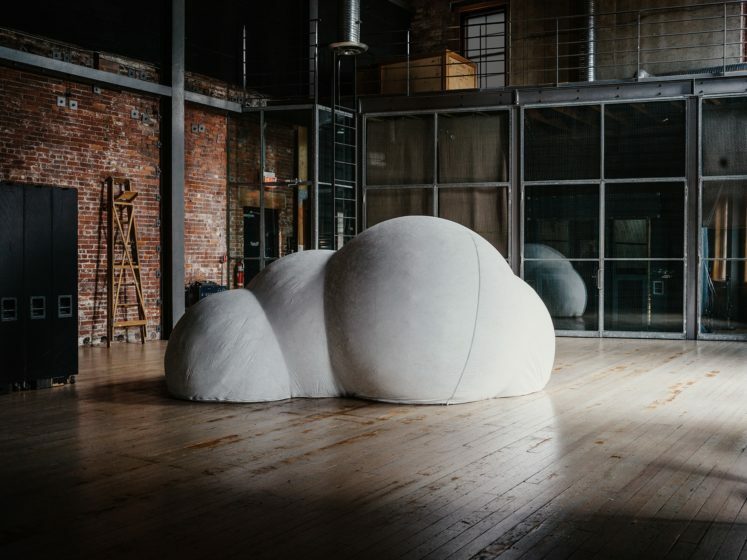 Intended to challenge how people typically view an inhabitable space, each cloud-like inflatable maintains its shape by means of a small electric fan. Entrance is through a zippered doorway that leads to a soft patch of grass inviting participants to decompress, recharge, or just contemplate the vast range of stimuli they’ve observed throughout IDS. Tangible Interaction’s Haven. Photo by Hubert Kang. Dutch “eating and industrial designer” Marije Vogelzang is quartz company Caesarstone’s collaborator this year, presenting Seeds, a honeycomb-shaped installation that takes visitors through an interactive “journey of the seed”. 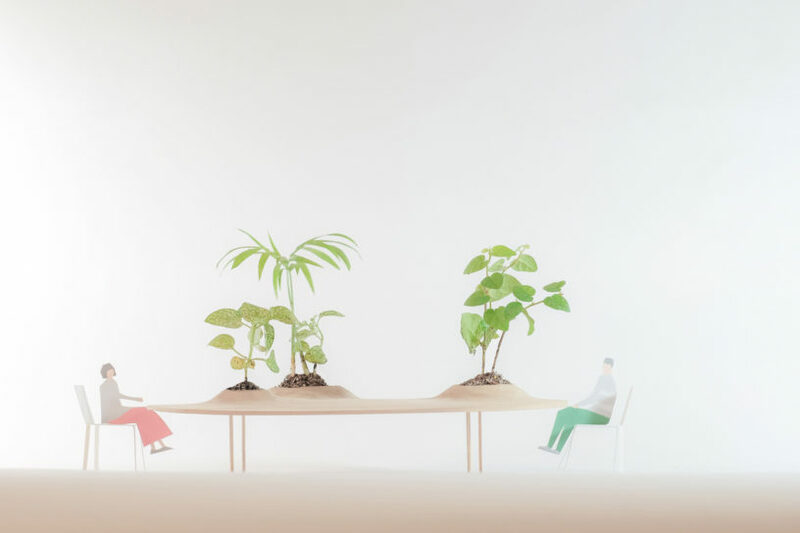 The exhibit calls to visitors’ senses—smell, taste, touch—as they are asked to envision themselves as a seed planted in soil, and to draw upon their own meal-based memories—from ponderous chewing to connective conversation. Great Lakes Cabin. Photo credit Plus Visual. 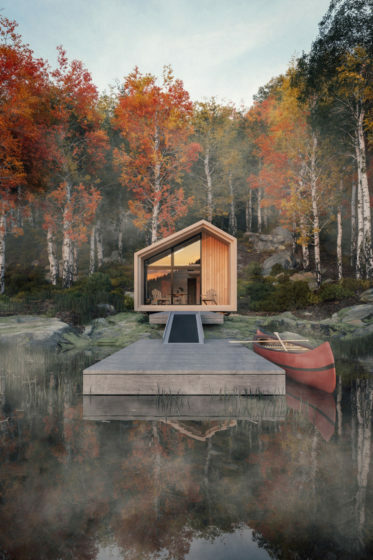 Provided by Backcountry Hut Company, Great Lakes Cabin is this year’s design concept house feature at IDS19. Designed by Leckie Studio Architecture + Design, the prefabricated cabin is intended for remote locations, its modular design with a 670-square foot footprint can be flat-packed and delivered right to your door. A convergence of the DIY architecture and small spaces trends, pre-fab rustic homes are growing in popularity. This one comes with a Flattery Design landscape and a customized interior featuring new AyA Kitchens cabinetry. Aestus by Oliver David Krieg is one of the Rado Star Prize finalists. Rado Star Prize design competition will be at IDS19 this year, the first time Swiss watchmaker Rado is bringing its international showcase of design up-and-comers to Canada. 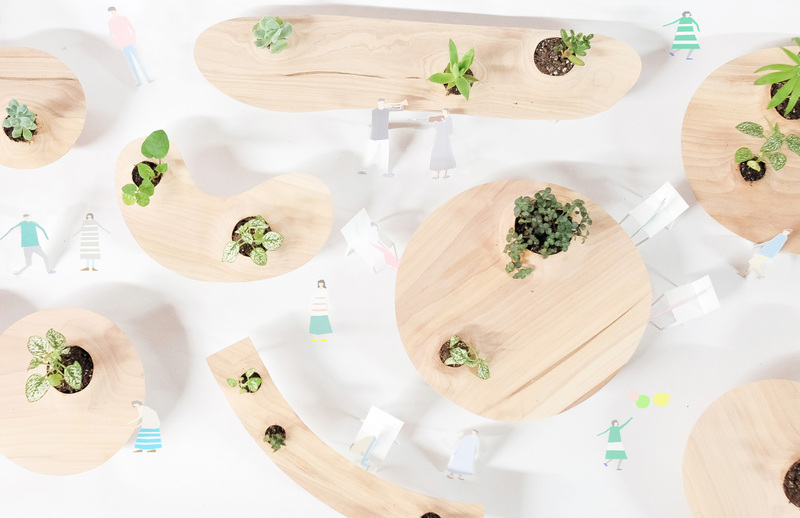 The Rado Star Prize Canada 2019 challenges entrants to explore the influence of nature on functional design for daily use through materials, colours, and textures. The winner will receive $5,000 as well as a Rado True Thinline watch, but regardless of outcome, all finalists have the opportunity to display their concepts at IDS, both the Toronto and Vancouver editions, including Annie Legault’s wabi sabi–inspired Raw; Oliver David Krieg’s series of beech wood vases Aestus; Hanae Baruchel’s oil rig–shaped Plastic-Toc Salt Shaker; Wayne Muma’s Pirogue stools made of urban salvaged trees. 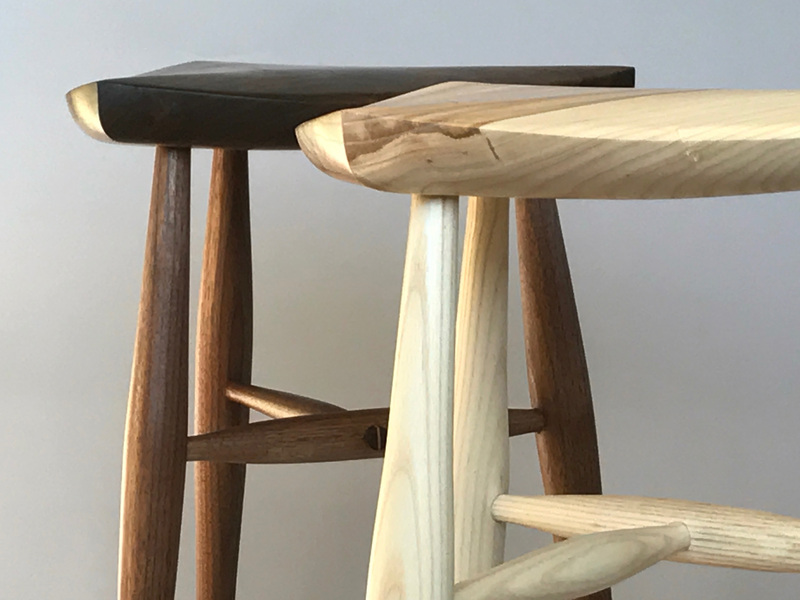 Set up like a gallery, Studio North & Prototype is a marketplace showing custom and limited-edition collections from over 65 Canadian and international designers. A panel of international industry leaders and design experts review the work, which this year includes prismatic pendant Crenellated Lamp lighting by Justin Bailey Design presented alongside asymmetrical art deco chair from fellow Iowian studio Vako Design, and IDS newcomer (whose co-founders are formerly of Sanaa) WooYoo’s carved wood PokoPoko Table, an exploration of tradition, materiality, and modern forms. Keynote conference speaker Ryan Korban has become one of the hottest interior designers working today, known for his signature aesthetic that blends “luxury, old-world romance, and urban cool”. Based in New York, Korban draws on inspirations as diverse as Monet and Helmut Newton to create curious, modern spaces for the likes of Balenciaga, Aquazzura, and Alexander Wang—not to mention Kanye West, who, among other celebrity clients, has given him the keys to his house. Be sure to sit in on his conversation with Randi Bergman—it promises to be a feast for the senses. IDS Toronto runs from January 17 to 20, 2019 at the Metro Toronto Convention Centre.